Down here in the south, we learn to make sweet tea really young. And you learn to make it your mama’s way. 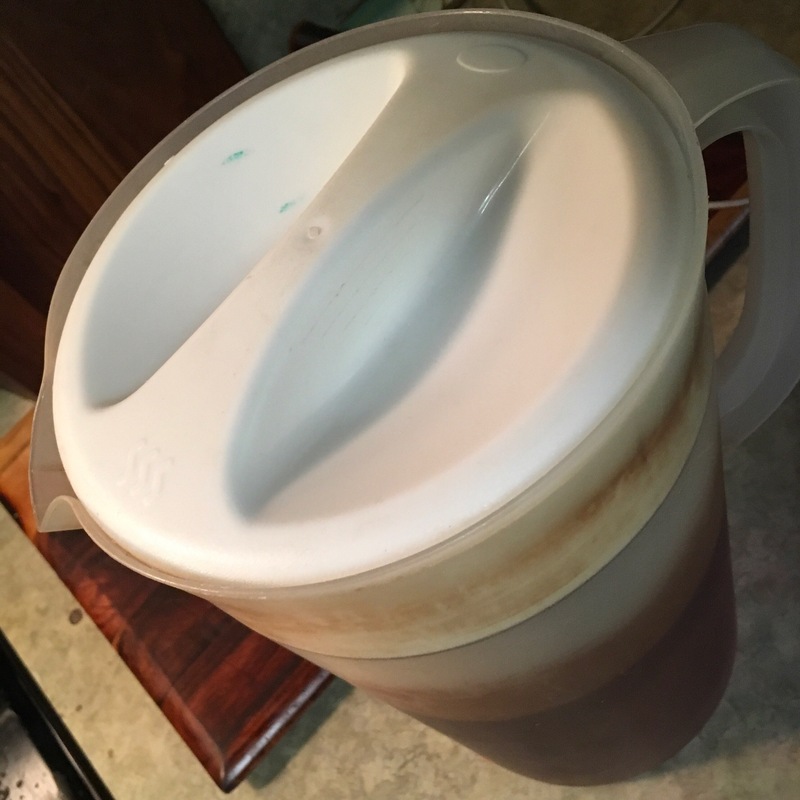 And then you grow up, move out on your own, and while you use your mama’s recipe at first, you eventually come upon your own way to make YOUR favorite sweet tea. So, this is how to make the perfect GODBOLD household sweet tea. In the summer, we switch to mint tea. Now, the mint is optional, but you should try it. While your water is boiling, get you pitcher and add 3/4 cup of sugar and your tea bags. 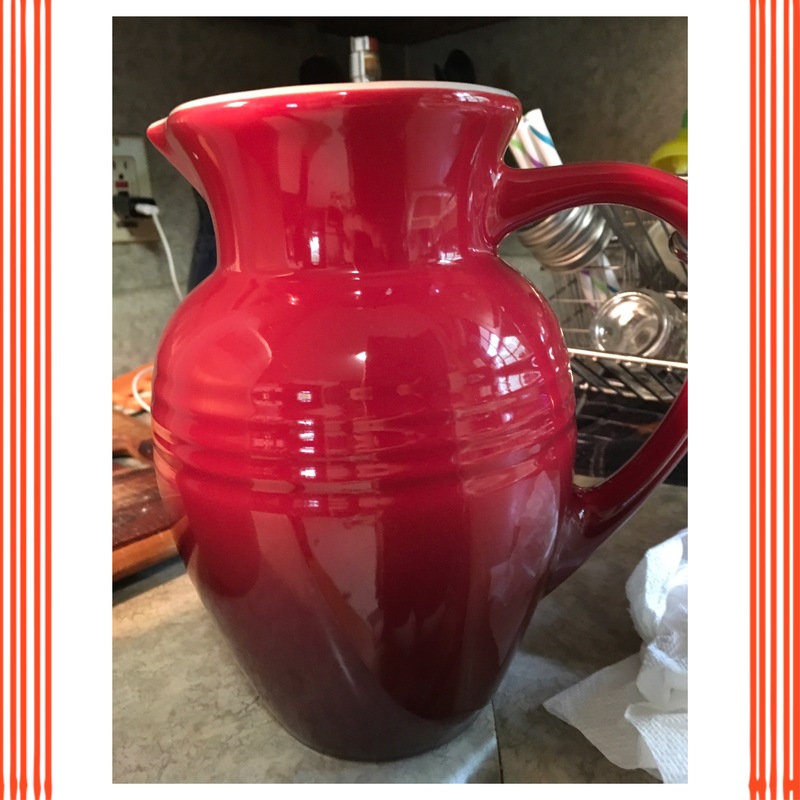 This is the kind of pitcher you need for sweet tea. A big one gallon jug with a lid. Yes, they get stained. That just means they are well used. And I do not like the solid colored ones. I like to be able to see my tea. This is a prettier pitcher, but you can’t properly make sweet tea in this one. I occasionally use it to make quick sweet tea for dinner, but it really isn’t the same. I use organic turbinado sugar. Using only 3/4 cups per gallon, the molasses flavor isn’t noticeable. If you made my Aunt Katie May’s tea with my sugar, it’d probably taste a little weird. She used 2 cups of sugar per gallon. Her tea was syrup. We drink far too much sweet tea to be downing that much sugar a day. 3/4 cup makes it sweet, but not too sweet. Also, if you don’t want to use real sugar, it isn’t real Sweet Tea. But don’t put fake sugar or Stevia in the whole gallon. It starts tasting funny as it sits. So, you’ll want to sweeten it per glass, not per gallon. And if you want to use honey, that isn’t real Southern Sweet Tea. If we’re talking Sun Tea, okay with the honey. But I don’t really know how honey sits in sweet tea, so do it at your own risk. 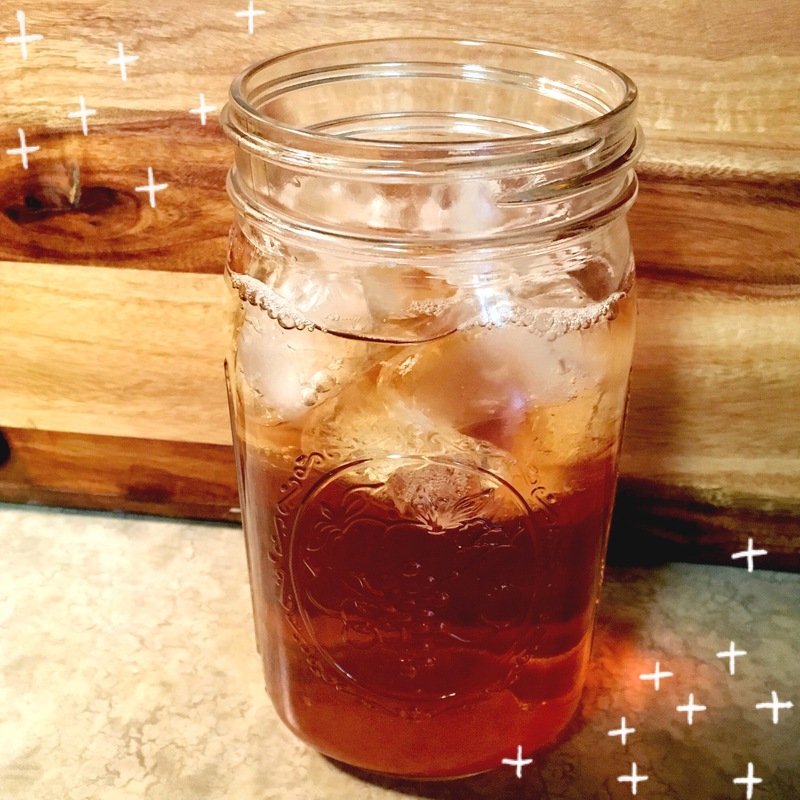 Use real sugar for real Southern Sweet Tea. I usually use Luzianne tea bags, however, we go through a lot of Sweet Tea. (2 gallons a day in the summer.) My Kroger has this new P$$t brand, and the tea was $1.99 for 100 regular size bags of decaf tea. So, I figured that was worth a try. And it turns out, I really like it. It tastes a lot like Luzianne. 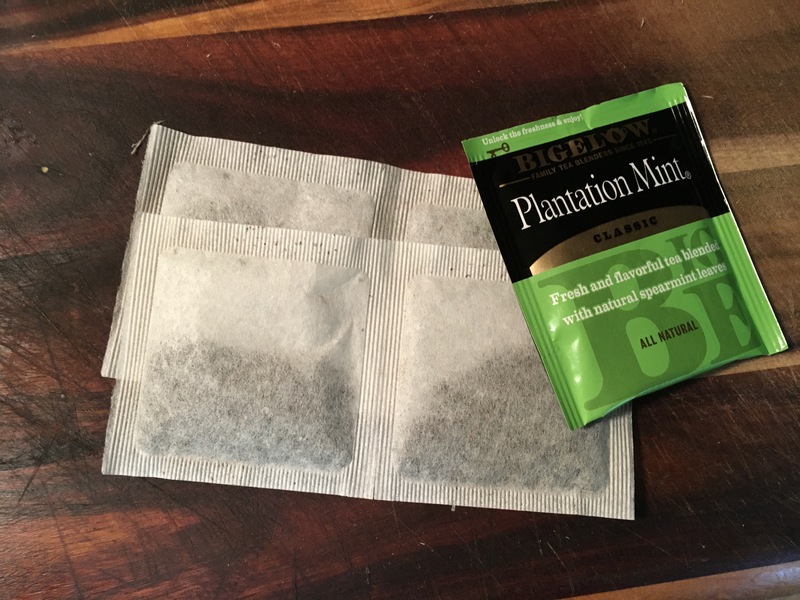 For the mint tea, I have tried other brands, but the Bigelow Plantation Mint is the best for Sweet Tea. I also switch back and forth between decaf and regular tea. If I use decaf, I don’t have to be concerned about the number of cups of tea my kids have. But really, I don’t notice a difference at all. If you’re using regular size tea bags, you need 4 tea bags per gallon of tea. If you are using the family size tea bags, use 2 per gallon. 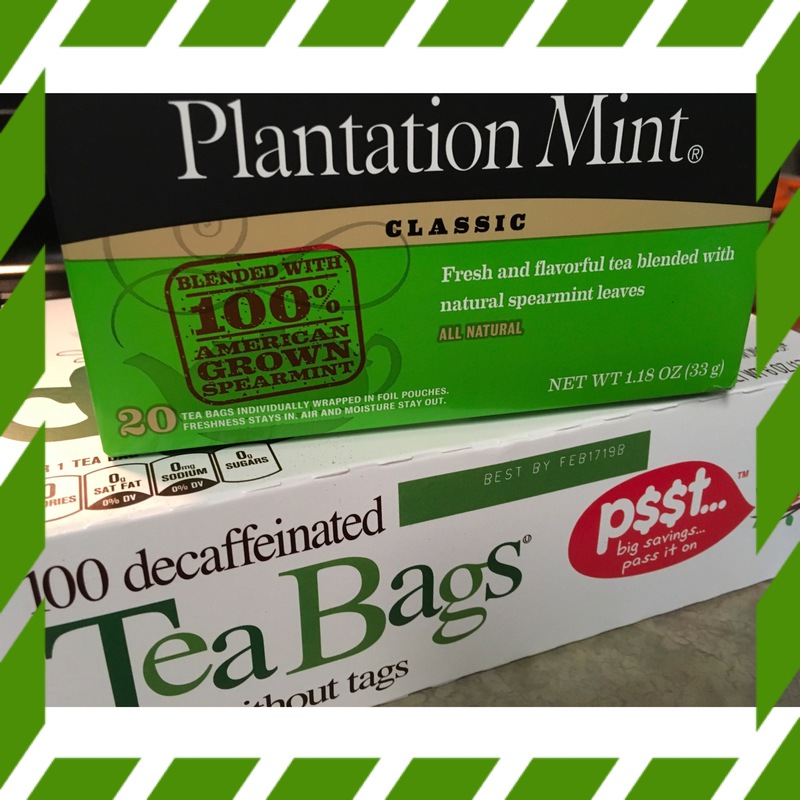 And then add 1 bag of the Plantation Mint tea for Mint Sweet Tea. Once your water is boiling, pour it over the sugar and tea bags. Use a wooden spoon to mix and get the sugar all melted in. (Yes, you have to use a wooden spoon.) Do not leave the wooden spoon in the pitcher. It will make your tea taste like a stick. I set the spoon across the top of the pitcher while the tea steeps. Leave the tea to steep 15-20 minutes. If you forget and leave it longer, no big deal. After it has steeped, use the wooden spoon to fish the tea bags out. I press them against the side of the pitcher to get all the yumminess out before tossing them in the trash. Fill the pitcher the rest of the way with water. Use the spoon to stir. Put the lid on. Put it in the fridge. I always serve it with ice. My kids prefer no ice because they have no taste in such matters.